Happy Games Factory is looking to bring you a new fantasy miniatures game. It's called HeroClash and they've got a campaign up and running on Game On Tabletop. You can pick up either of the new factions or the 2-player starter set that's got everything you need to get going in this new fantasy adventure. It's March. So that means St. Patrick's Day is coming up. Everyone will be wearing green. Even Happy Games Factory's latest release is green. Though that's not so much that they have Irish spirit, but that they're trolls. Still, I wouldn't go pinching them. Happy Games Factory is looking to bring a new faction to their Eden game. It's the Octopus Keepers... because why not? They also have the B.O.R.G. as a limited-edition starter set that you can pick up. They've got a Game On Tabletop campaign going on (a crowdfunding site) now that you can check out. 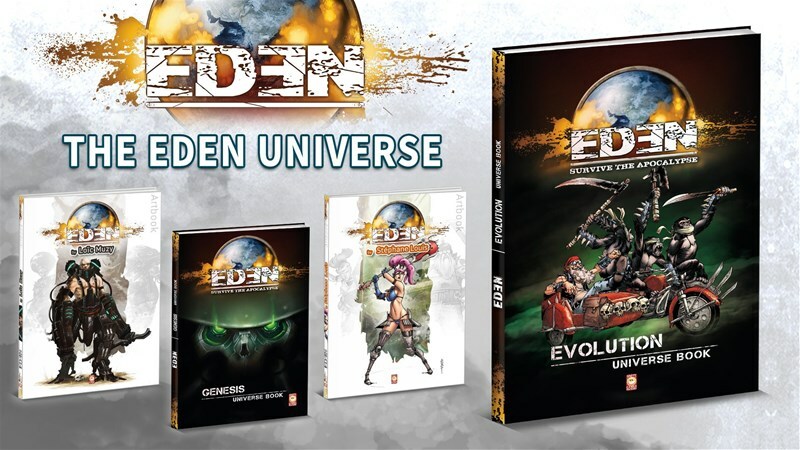 Happy Games Factory has launched a ulule campaignf or their Eden Universe Book. For those that don't know, ulule is a crowdfunding website, much like others, but aimed at a French-speaking audience, but the campaign's bi-lingual, so us English-readers can understand it, too. If you've wanted to know everything possible about the world of Eden, now's your chance. 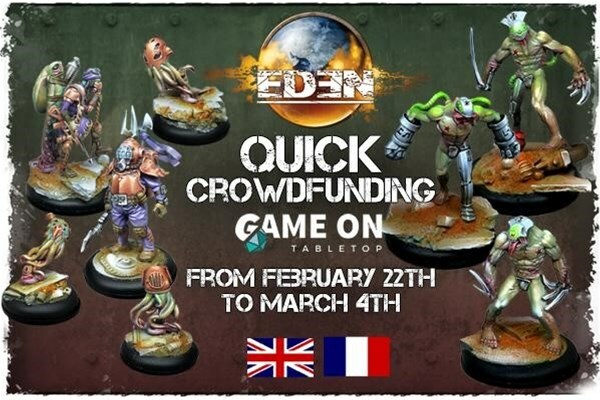 The folks over at Happy Games Factory have launched a quick turn-around Kickstarter campaign for some new miniatures for their Eden miniatures game. The first set is the City of Sagaar. They're a whole new faction for the game, representing where the game's come since its creation. Then there's the Snowmen, who are just holiday fun, through and through. 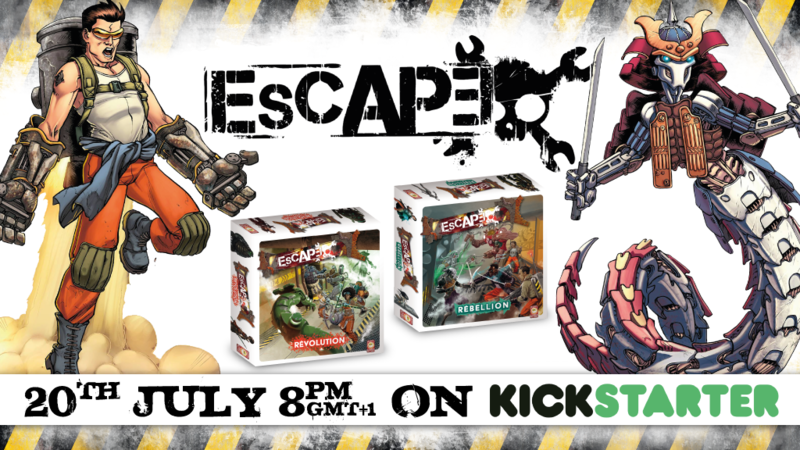 Happy Games Factory is... uh... happy to announce that Escape, their board game set in their Eden universe, is now available. And not content with just one version, they have two available for you to choose from (or just pick up both)! In the desolate world of Happy Games Factory's Eden universe, many are left hunkering for shelter in underground living spaces. However, there's little to do under there, and many turn to a life of building and learning to pilot different robots. Of course, where there's an act, there's a competition to see who's best at that act. 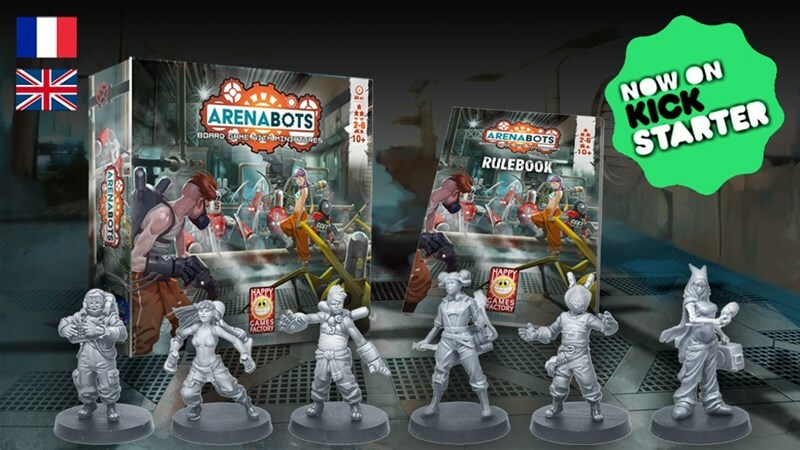 And that's what brings us to ArenaBots, a new sci-fi miniatures board game that's up on Kickstarter now. Happy Games Factory is happy to announce that their game, funded via Kickstarter, is now available for everyone. Gnomes & Associates (I think that's the same group that's inside my computer, making it work) is a great way to bring in family members who may not be used to gaming into the fold. It's light-hearted fun for the whole family. The folks over at Happy Games Factory know you want your Eden releases as soon as they're available. Well, the September new figures are coming out in 5 days. If you want to be the first gamer on your block with them when they hit store shelves, you can put your name down on the pre-order list. Do it! Do it naow! Is it just me or, despite how fast it's felt it's gone by, July seems to be just keeping around, too? There's still about a week left of it to go, but that just means there's still plenty of time for the July releases for Eden from Happy Games Factory. 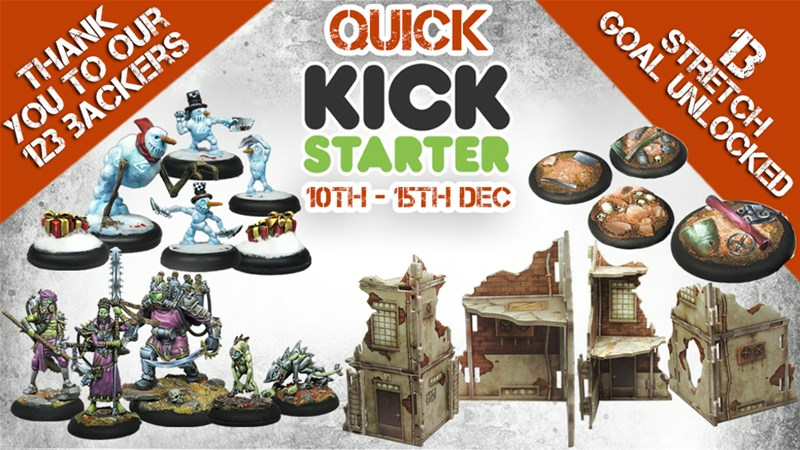 This batch of releases includes the starter set for a new faction, the Matriarchy White Order. Happy Games Factory is looking to get more people involved in their Eden world, as well as expand the universe into more gaming facets. 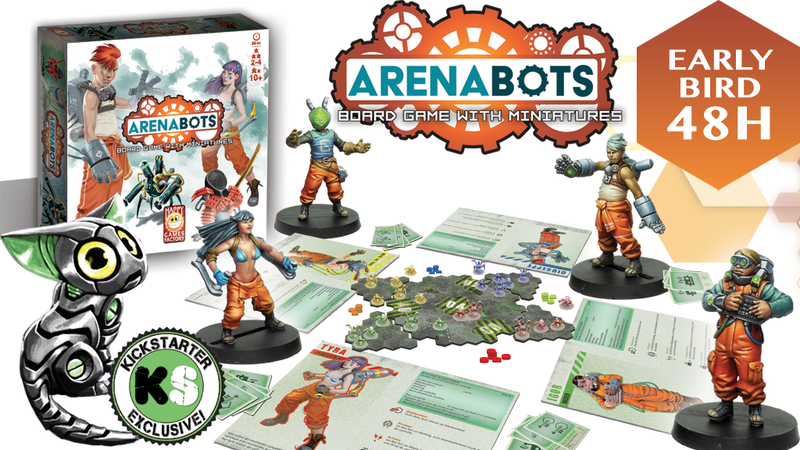 To get both those in one go, they're running a Kickstarter campaign for Arenabots, their new board game. Think the show Battlebots, but in a post-apocalyptic future world. We're a day shy of halfway through February. If there was a good time for February releases, I'd say this is it. And that's what we're getting from Happy Games Factory. New Releases for both Eden and Drakerys are in stock and ready to make their way to you. We're reading the last bit of October. I know the weather finally caught up here in Atlanta. So it's a good time to have some October releases for your games. Certainly, Happy Games Factory thinks so. They've got their latest releases for Eden available now in their webshop. They've also got a quick note about their Essen plans. Well, the Resistance faction in Eden might disagree with you there. 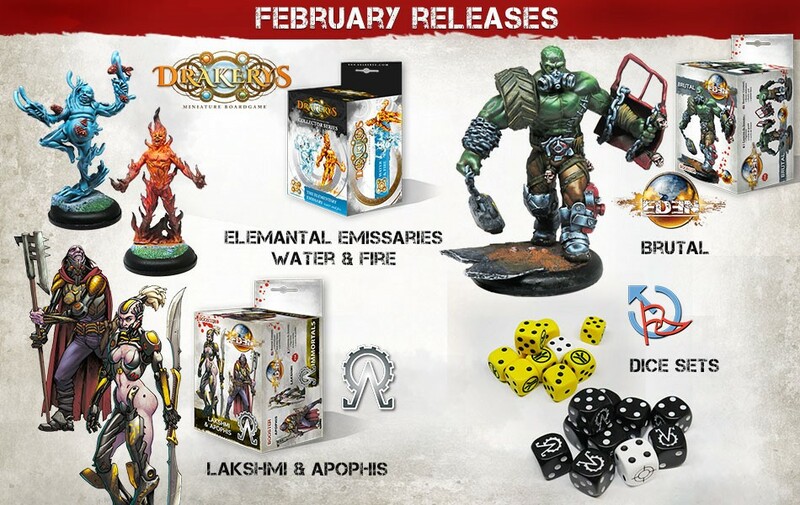 And they're being featured in this month's releases from Happy Games Factory. 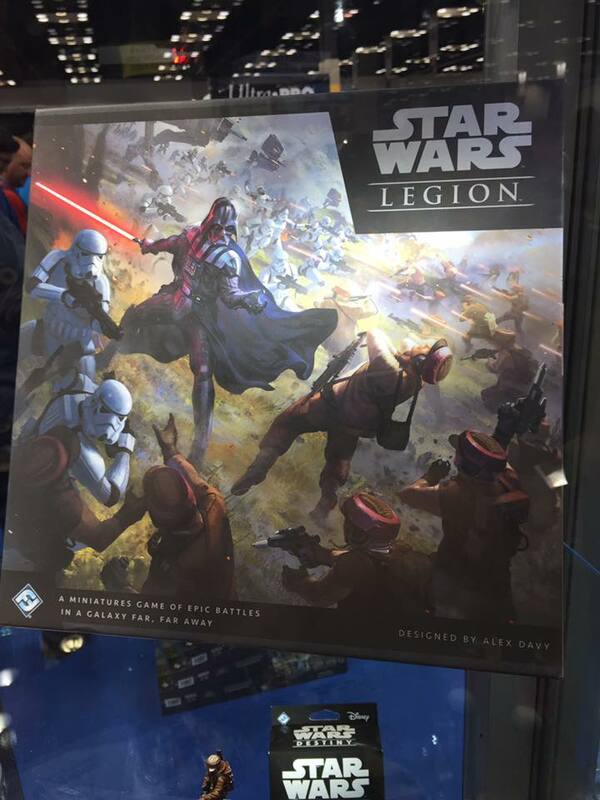 They are getting a new starter set. There's also new figures for the Khan Clan and ISC. But don't worry, just because they get fewer figures certainly doesn't mean they're lesser releases. And to make your figures look good, there's some new paint sets, too. Several prominent scientists and businessmen have warned us about the use of AI. Others are like, "what harm could it really do?" Well, if you have an AI that's isolated from everyone else due to a seismic weapon that's used in Europe, well, you could have that AI go haywire in the deep subterranean base where it resides, along with the various humans that are down there with it. Now, it's up for those people to escape. And that's just what they'll be doing in Escape, the second edition of which is up on Kickstarter now. Usually, having burn out for a game is considered a bad thing. But in the case of Eden, it's a good thing. 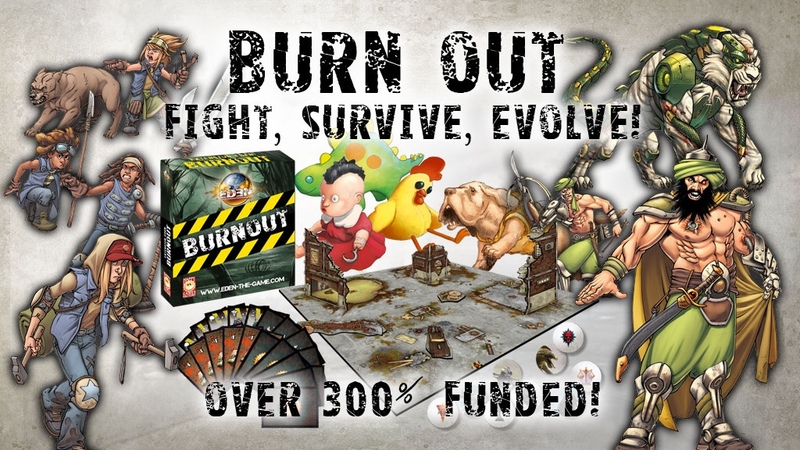 That's because Burn Out is the name of their expansion for the game that's up on Kickstarter now. We're starting to wind our way to the end of the month. Just a bit over a week left. Seems like a pretty good time to get the latest set of releases for your game. The folks over at Happy Games Factory have the latest set of Eden available over in their webshop. 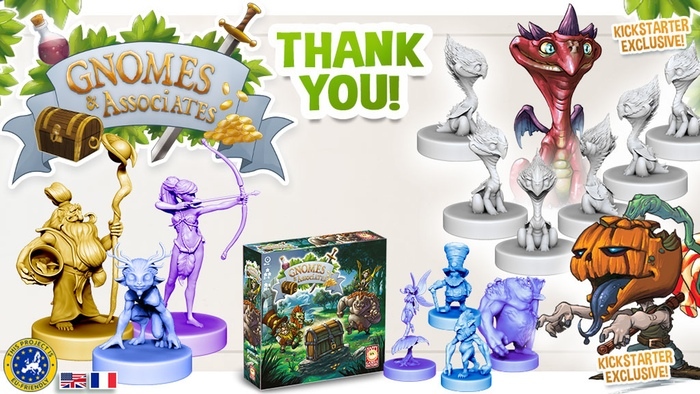 Happy Games Factory had quite a good Kickstarter run for Gnomes & Associates. They passed over their goal easily and went on to unlock several stretch goals. But what if you missed out on the project? Fret not! They are now taking late pledges for the campaign, complete with all those sweet unlocked goals. The first month of the year is a bit more than half over, seems like a good time to get out your first releases of 2017. That's what Happy Games Factory has done. They've got new Eden releases available now over in their webshop. The folks over at Happy Games Factory have the latest sets of Eden releases available to order over in their webshop. Nobody can accuse the folks over there from hating Christmas. They've got a special, limited edition set made just for it! There's never a bad time to start planning for the future. Well, next year is almost here and so it's time to fill out your calendar with all the events you want to attend. 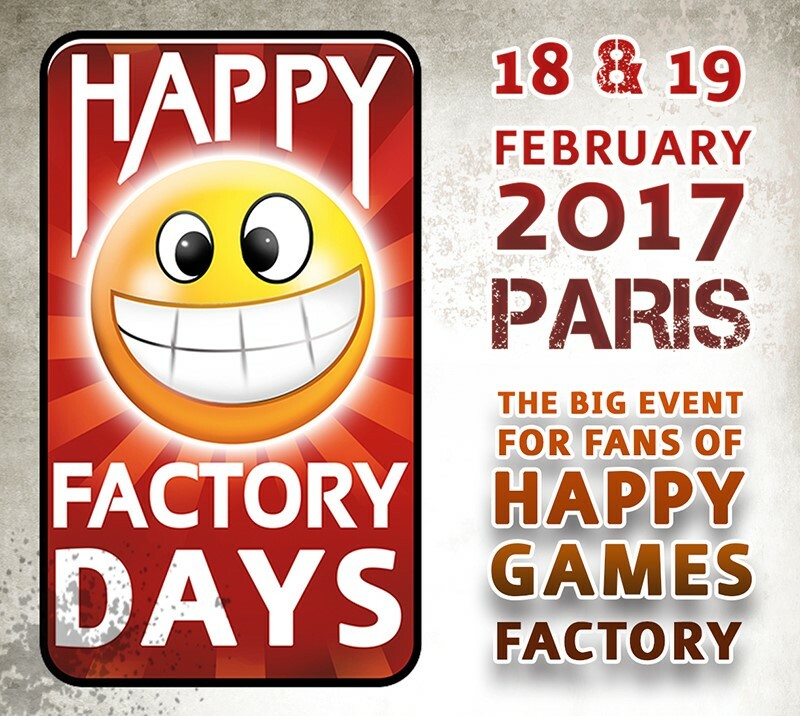 For those that are a fan of Eden, you might want to attend the Happy Factory Days event that Happy Games Factory will be holding in February. In the Marvelands, everyone gets along. Well, not really. Disputes aren't divided along creature lines. Trolls, fairies, gnomes, and goblins are just fine with one-another. No, lines are drawn between different guilds. Some are more on the up-and-up, working like a corporation. Others are a bit shadier. But each one is looking to control the vast resources found across the land. With them, they can make powerful artifacts. 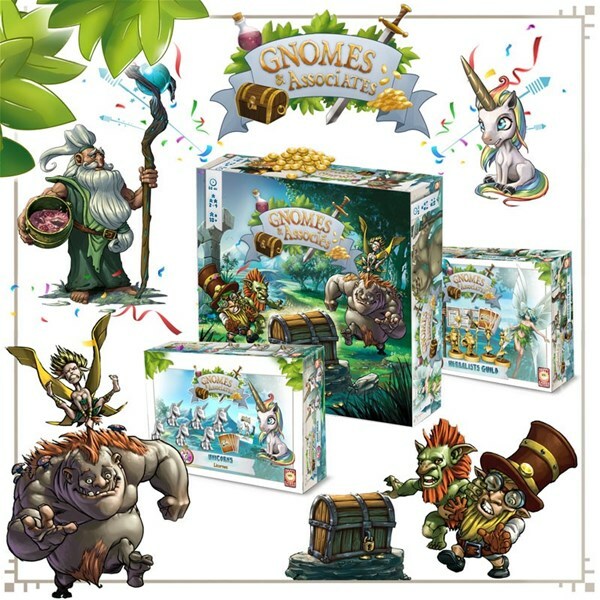 That's the story behind Gnomes and Associates, a new board game by Happy Games Factory up on Kickstarter. We're entering the middle of the month. Seems like a pretty good time to get September releases out to the masses. That's just what Happy Games Factory has for you today. There's a whole bunch of new Eden releases for you to check out. The idea of Eden conjures up a nice, tranquil, peaceful garden. The Eden game, though, is anything but tranquil and peaceful, and that's just how they want it. There's a new set of releases available for you if you like things like pneumatic hammers and scythes and rollerskates.